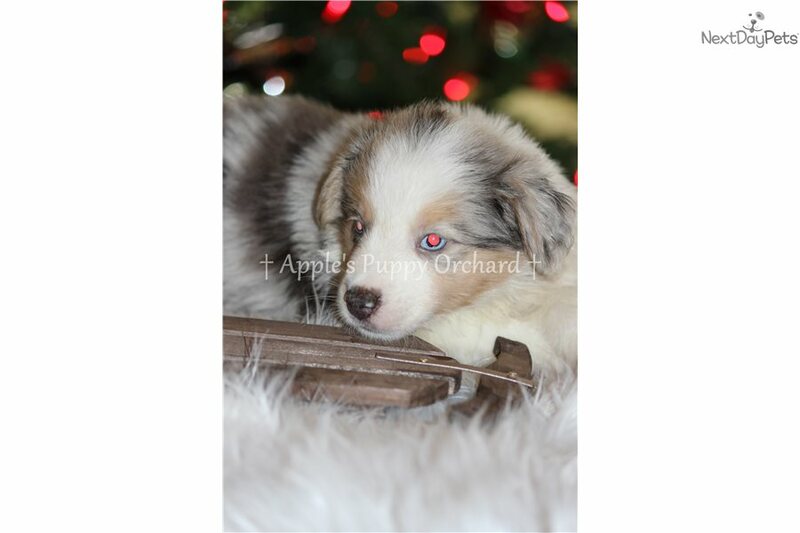 This Miniature Australian Shepherd nicknamed Baby Blue sold and went to a new family. 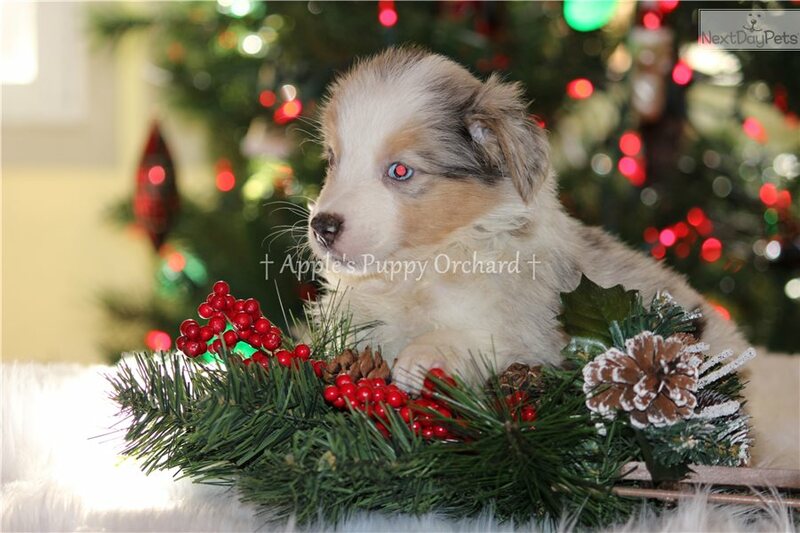 Baby Blue is a BEAUTIFUL Blue Eyed Blue Merle Mini Aussie. 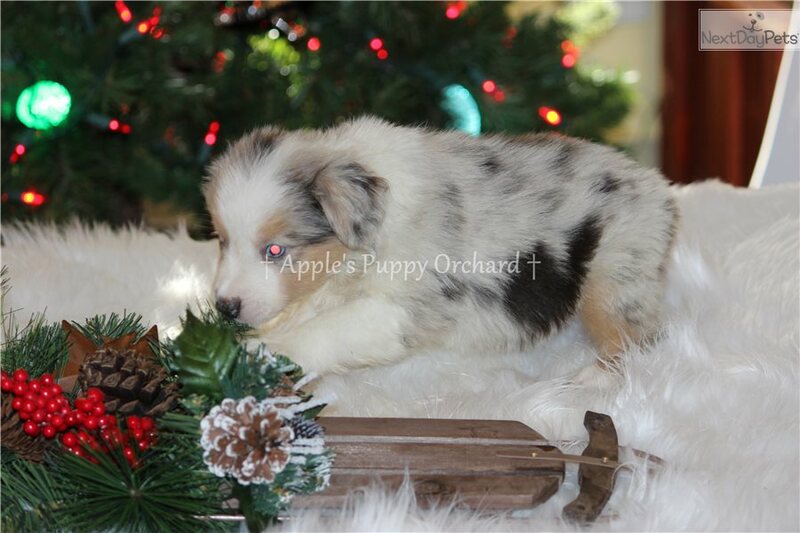 He has the perfect markings & 2 of the smartest parents around! 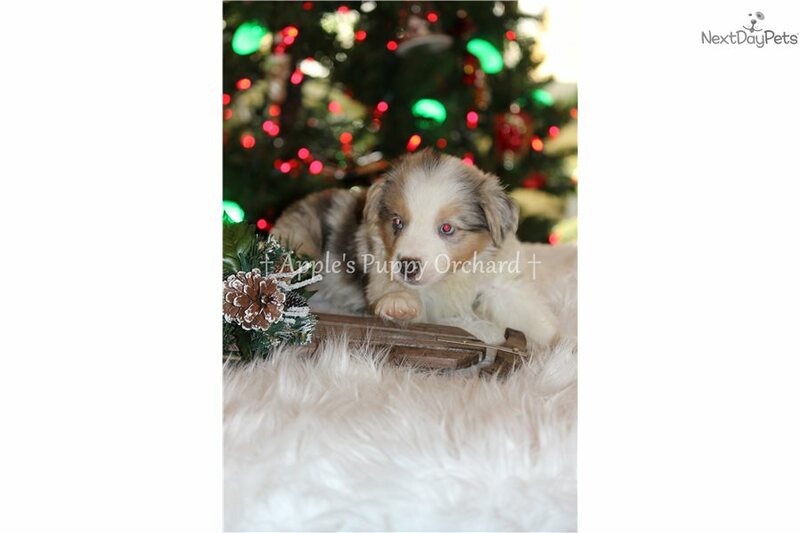 He is $850 and will hold with a $200 non-refundable deposit. He can go as early as 12/7 but can hold for Christmas. 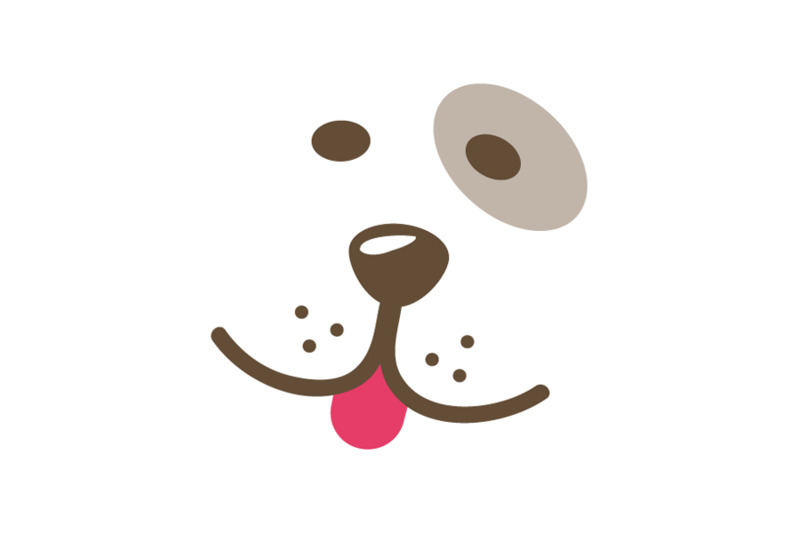 He will come with FULL ASDR papers, deworm, UTD on vaccines, microchip, & a one year health warranty. 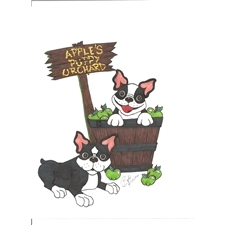 Check us out on FB at Apple's Puppy Orchard for more babies!